If one wonders about the title: The good news is, that a military coup was foiled. The bad news is that Turkish President Erdogan stays. The bad news is, that Turkey is in turmoil and Islamists are taking over. The good news is, that NATO is severely weakened and Turkey might pivot to Eurasia, eventually even becoming part of the Eurasian Union. Well, there are various competing theories, because the failed military coup in Turkey has been commented and interpreted very differently depending on the commenters affiliation, mission, and temper. Theory 1: It was the “deep state or parallel state” in Turkey, an opaque network inspired or even led by US based preacher and former imam Fethullah Gulen. Theory 2: The USA wanted to get rid of the unreliable Erdogan who threatened to reconcile with Russia. Gulen may have been involved. Theory 3: Secular (Kemalist) elements of the Turkish army, seeing their secularist legacy under threat, wanted to prevent a further slide of Turkey into an Islamic society. Theory 4: Honorable army officers, appalled by the corruption and nepotism of the Erdogan family, wanted to clean Turkey from this scourge. Theory 5: Saudi Arabia and the UAE (United Arab Emirates) fearing a turn of Erdogan to Russia and an abandoning of the Syrian regime change project, used their money and connections to instigate the coup. Theory 6: It was a staged affair (false flag), orchestrated by Erdogan to justify a comprehensive purge of Turkish state institution from all his opponents (Gulenists and secularists alike). A very plausible assumption because the suspected new axis of Turkey, Russia, Iran would completely redefine the power balance in the region and render moot all geopolitical plans of the Western allies. When Turkish PM Binali Yildirim said, that improved relations with Syria were needed in the fight against terrorism and for stability in the region, Saudi Arabia summoned the Turkish ambassador in Riyadh to provide more explanation for the controversial statement. On July 13 Adel al-Jubeir, Foreign Minister of Saudi Arabia, stated: Turkey knows very well that it is incapable of betraying the Syrian opposition with such ease. 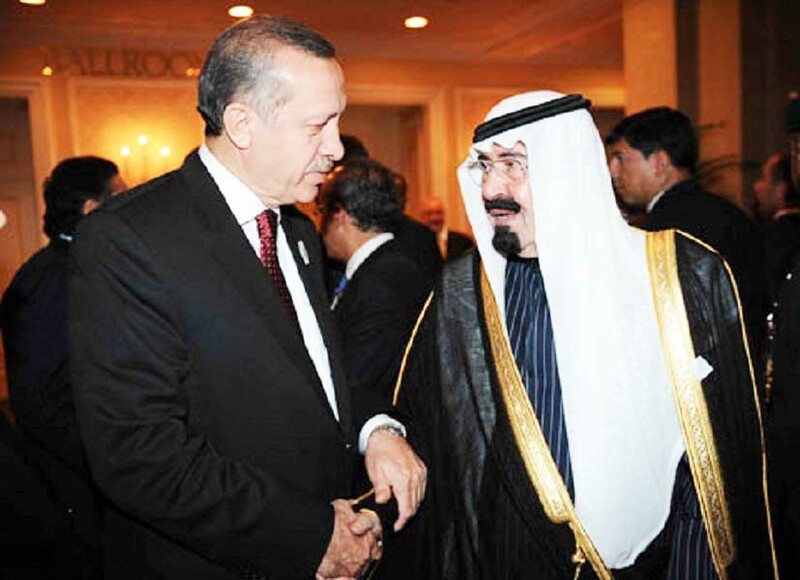 Saudi Arabia reserved condemnation of the coup until it was very clear that it had failed. Later, reports surfaced that the top brass in Riyadh and Abu Dhabi — strong allies of the US with unbreakably intimate ties with each other in the Persian Gulf — were involved in the coup. Saudi whistle-blower Mujtahid, who is believed to be a member of or have a well-connected source in the royal family, disclosed that senior government officials in Riyadh and Abu Dhabi had been informed of the coup in Turkey long before it took place. Mujtahid wrote on his twitter page, that the UAE leaders had played a role in the coup and that the UAE had also alerted the Saudis about the impending coup. Saudi Deputy Crown Prince and Defense Minister Mohammad bin Salman since then is trying to convince the Turks to conceal the UAE’s role in the coup and has promised a large amount of cash in retribution. One should not forget to mention that Saudi Arabia’s tireless efforts to spread Wahhabism and with it Islamic radicalization is an internal (Chechnya, Dagestan, Ossetia) and geopolitical (Azerbaijan, Kazakhstan, Tajikistan, Turkmenistan, Uzbekista) threat to Russia. Turkeys President Recep Tayyip Erdogan has always been a difficult and often unpredictable ally for the West. During Hezbollah’s 2006 war against Israel, Turkey was caught red-handed as it allowed Iran to move weapons systems to Hezbollah through Turkish territory. Turkey was Iran’s partner in evading sanctions and Iran’s conduit to the international market, thereby easing the economic problems of the Teheran government. According to a series of investigative reports, Erdogan’s family was directly involved in this trade. After the Syrian war started, Erdogan not only provided CIA-vetted rebels with support, but also helped al-Qaida affiliate Jabhat al-Nusra and turned a blind eye to IS (Islamic State), allowing the terrorists to use Turkey as a logistical base, economic resource, and recruitment center. The US-State Department claims that all of IS’ 26,000 foreign fighters have entered Syria through Turkey. 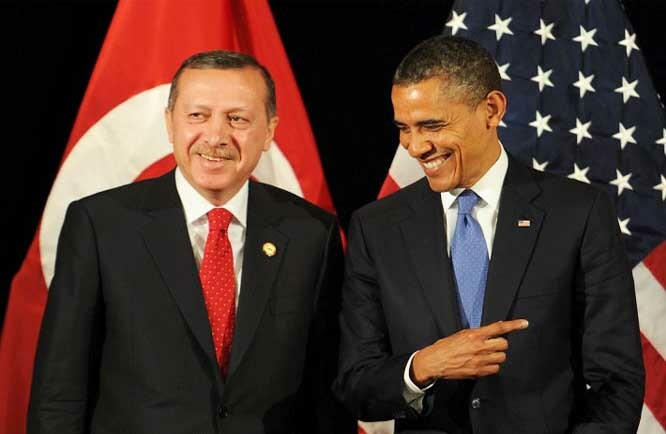 Erdogan never took any meaningful actions against IS and US President Barack Obama had to plead two long years to get Erdogan’s permission to use the Incirlic air base for NATO bombing raids in Syria and Iraq. Erdogan’s attempt to pressure the EU for economic, political, and military support by unleashing a wave of refugees has not gone down well in the West, especially after some of the refugees now cause serious trouble and are responsible for a wave of violent attacks. In the last years Erdogan got a constantly bad press, was ridiculed and mocked — one could get the impression that he, like so many other Middle Eastern leaders before him, had been marked for eventual regime change. But regime change in Turkey was not considered a high priority in the West because it was not considered as difficult to achieve. The prevalent sentiment was: When the time comes and the need arises, there will be another coup in Turkey, as there have been five coups before (1960, 1971, 1980, 1993, 1997). The USA unsurprisingly and predictably was slow to condemn the recent coup attempt and commented only in vague and ambiguous terms. US forces have installed top-notch electronic systems in Incirlik air base to eavesdrop on communications and the Turkish MIT will be wondering why the most likely gathered intelligence about coup preparations was not shared. Erdogan clearly suspects Washington’s intrigue, insisting that the failed coup was the brainchild of US-based Islamic cleric Fethullah Gulen and demanding his immediate extradition. The animosity between Erdogan and the USA is becoming very personal, too. Erdogan on several occasions mentioned Obama by name unfavorably and it is an open secret that the chemistry between the two statesmen has been poor. In June Erdogan cut short a US trip to attend the funeral ceremony of boxing legend Muhamed Ali, after being shunned by organizers, a visit to Washington in March ended in scandal, when Erdogan’s bodyguards kicked, shoved, and verbally abused journalists. Erdogan surely will never forgive the Obama administration for leading him up the garden path on Syria, convincing him that Washington would be leaving no stone unturned to overthrow Bashar al-Assad. The then CIA Director David Petraeus visited Turkey more than once to urge Erdogan to kickstart the intervention in Syria. Suffice it to say, Erdogan is preparing for a period of deep chill in Turkish-US relations. These are early days, but the move to cut off power supply to the Incirlik air base, thereby grounding the NATO jets, may convey some hidden meaning beyond being one of the anti coup measures. It is a safe bet, that Turkish-US relations will be strained further, especially if Fethullah Gulen is not extradited. Gulen took up residence in Pennsylvania’s Poconos Mountains 16 years ago. He is the founder and leader of the Hizmet movement, which operates schools and charities in 150 countries. He has considerable wealth and international stature. The with Hizmet associated influential Zaman newspaper was closed down by Erdogan in March. According to opinion polls conducted before the coup, Gulen enjoys the support of at least 10 percent of Turkey’s population. Gulen personally is pious and economically liberal. He is unequivocally a pro-EU and Atlantic person, a free marketeer, supporter of neoliberalism, a pragmatist on Israel, and an admirer of Hillary Rodham Clinton. Gulen followers and sympathizers among prosecutors and judges launched several investigations into alleged corruption among senior members of Erdogan’s AKP, resulting in the dismissal of police commissioners and arrests of several of Erdogans’s top associates. Turkey has detained Hails Hanci, senior aide to Fethullah Gulen, who entered the country two days before the attempted putsch and was hiding in the Black Sea province of Trabzon. Iran rushed to condemn the Turkish army coup only two hours after it started. Several top security and foreign policy officials in Tehran were in constant contact with President Erdogan and his cabinet ministers the days after the coup. 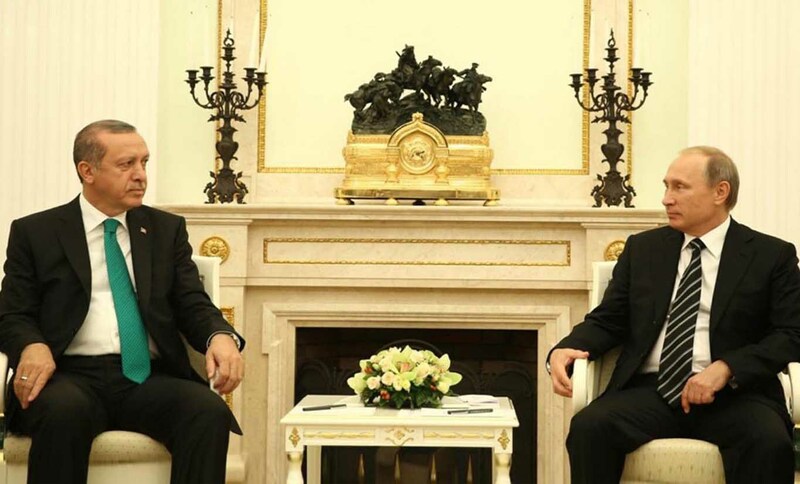 Iranian Foreign Minister Mohammad Javad Zarif was on the phone with his Turkish counterpart Mevlut Cavusoglu, while Ali Shamkhani, the secretary of Iran’s SNSC (Supreme National Security Council), was on another line with security officials in Ankara. All the while, Qassem Soleimani, the commander of the Islamic Revolutionary Guard Corps’ Quds Force, Iran’s regional military arm, was busy pursuing and reviewing various scenarios that might emerge. Indeed, although the air and naval forces, which participated heavily in the coup, are decapitated now, the position of the Turkish land forces, which constitutes the bulk of the military, is unclear and another coup is still possible. It was a bomb shell, when Iranian Fars News reported, that Russia warned Turkey about the imminent coup just hours before tanks appeared in the streets and fighter jets bombed the parliament. Russian electronic warfare units at Hmeimim air base (Krasukha-4 or TU-214R spy plane) had intercepted and decoded conversations of Turkish helicopter pilots.The fact has since then been confirmed by other sources and has not been denied by Russia or Turkey. Western media outlets are silent as usual. Turkey’s MIT (National Intelligence Organization) received information about a possible coup attempt at 4:00 PM, July 15. MIT director Hakan Fidan worked diligently from then until early the next morning to thwart the plot, informing the General Staff headquarter with the attendance of Chief of Staff General Hulusi Akar, Chief of the Army General Salih Zeki Colak, and Deputy Chief of Staff General Yasar Guler. After evaluating the info the General Staff instantly gave orders for all air and ground forces around the country to immediately cease operations, including military vehicles such as tanks, airplanes, and helicopters. Seeing their conspiracy disclosed, the coup plotters started the operation six hours ahead of time; as they initially had planned to launch the coup at 3:00 AM on July 16. The putschists had orders to kidnap or kill President Recep Tayyip Erdoga, and helicopters headed toward the hotel in at the holiday resort of Marmaris, where he was staying. But Erdogan had left 44 minutes before they arrived. As their time plan was in disarray, many involved units didn’t deploy or were disarmed before they became active. It was also not foreseen that thousands of Erdogan supporters would flood the streets, because at the initially planned time of 3:00 AM most people would have been sleeping. Because of the hurried start the putschists failed to impose proper command and control over the armed forces. Brigadier General Semih Terzi, an important coup supporter, was killed by a junior officer. Terzi’s death not only demoralized the coup plotters but also crippled their command and control system. The plot could no longer be guided from a single center and instead weakly linked groups launched uncoordinated actions. And yet, without the tipoff by Russia the coup would have succeeded, because is was not the work of a small group of renegades and the plan was not amateurish. The coup plotters had support from all segments of the armed forces and managed to seal all Turkish borders. The coup was circumvented due to the efforts of the MIT, rather than simply failing on its own after being launched. But why would Russia save Erdogan, who arms and funds Syrian terrorists, who ordered the downing of a Russian SU-24 fighter jet, who befriends the Tatars in Crimea, Ukrainian Nazis, and all kind of radical Islamists? It could well be that the same policy shift which estranged Erdogan from his Gulf allies and NATO partners also saved him. The decision to warn the MIT about the coup was probably made at the highest level, meaning Russian President Vladimir Putin decided. Putin saw another chance to upend Western strategies, to completely reorder the Middle Eastern chess board, to break out a crucial link in the Western military phalanx. For example: The Montreaux Convention of 1936 forbids permanent naval presence in the region by non-Black Sea countries and gives Turkey control over the Bosporus Straits and the Dardanelles Straits. Which means, without Turkey’s cooperation, the US strategy to encircle Russia in the Black Sea and Mediterranean Sea will fail. If the coup would have succeeded, the Turkish army would have been completely intact and even strengthened, the putschists would have been pro USA/NATO, Turkey again would have been a strong and dependable member of the Western block, democratic or not (F*ck democracy, as a notorious US official might have said). The jihadists in Syria would have been provided with more and more powerful anti aircraft missiles, making Russian involvement increasingly risky. A military junta would have surely been more secular than Erdogan, yet, even the most secular Western military strategists never had a problem to collude with Islamists, if it helped to destabilize the targeted country. It was certainly a no-brainer to inform Turkey about the coup and Putin will not have needed long to come to a conclusion. Putin phoned Erdogan the next day and Kremlin spokesman Dmitry Peskov announced that President Erdogan intends to visit Russia early in August to meet personally with the Russian president. President Erdogan appeared on the media saying that he plans to declare a crucial turn in foreign policy that “would end differences with Turkey’s neighboring states”. Erdogan is seizing the moment to transform Turkey, steering it from its secular roots toward a more pious Muslim model and cementing personal power at the expense of democracy and civil rights.The putschists and Erdogan’s opponents in general cannot expect mercy after an insurrection in which soldiers drove tanks, firing on civilians, and aircrafts bombed government buildings. They cannot expect mercy after Erdogan’s life was threatened. Turkey experienced a revolution in 1923 when Ataturk, a war hero who founded the Turkish republic as colonial powers gobbled up former Ottoman territories, abolished the caliphate and its traditions of dress and language, viewed as symbols of stagnation, and turned to the West as a model. Ataturk’s face still adorns Turkish banknotes, but Erdogan’s Islamist-rooted government has diluted his secular legacy and instead has turned to the Ottoman imperial era for ideas about morality and regional stature. Erdogan signaled that he may well use the post-coup state of emergency to dismantle what is left of Turkey’s secular state apparatus and transform the (still) NATO member into an Islamist state along the lines of the short-lived Muslim Brotherhood regime in Egypt, which Erdogan enthusiastically supported. More than 14,000 people, including 9,000 soldiers, 2,100 judges and prosecutors, and 1,485 policemen have been arrested, 60,000 state employees have been suspended in a sweeping purge, strongly criticized by Western media. 6,000 military personnel and 9,000 interior ministry employees are dismissed, suspended, or detained. 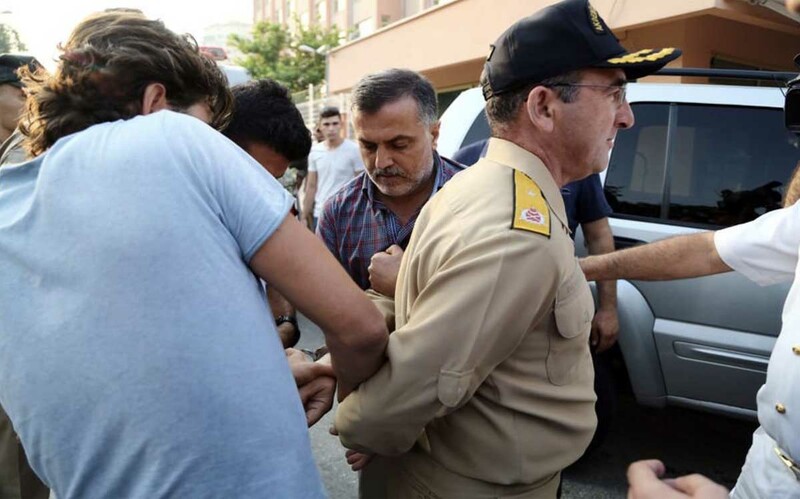 Former Air Force Commander General Akın Öztürk, Brigadier General Bekir Ercan, the commander in charge of Incirlik, and General Adem Huduti, the head of the Second Army, which is responsible for Syria and Iraq, are among the more than 120 detained generals. 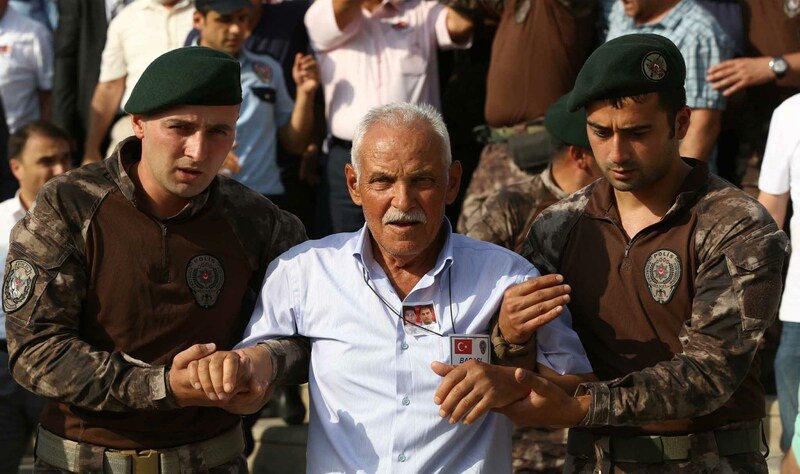 The Malatya Garrison Commander, Major General Avni Angun, and the Third Army commander, Erdal Öztürk, were also taken into custody. Turkey has disbanded the presidential guard after already detaining nearly 300 unit members suspected of involvement in the putsch. 2,250 social, educational, or health care institutions and facilities, that are considered a threat to national security, have been closed or are under administrative control. The Turkish treasury and a state agency that regulates foundations have taken over more than 1,200 foundations and associations, about 1,000 private educational institutions, 109 student dormitories, 35 health care facilities, 19 trade unions, and 15 universities. The health ministry said, patients at hospitals that were seized will be transferred to state hospitals. A three month long state of emergency has been declared, the European Convention on Human Rights is suspended, detainees can be held up to 30 days without being charged. Turkish judges, military personnel, prosecutors and other civil servants who have been dismissed will lose any gun and pilot licenses and will have to vacate any publicly funded residences where they live within 15 days. Those dismissed cannot work again in the public sector and cannot work for private security firms. AI (Amnesty International) said, that Erdogan is going “well beyond what might be considered a legitimate response to the coup attempt”. 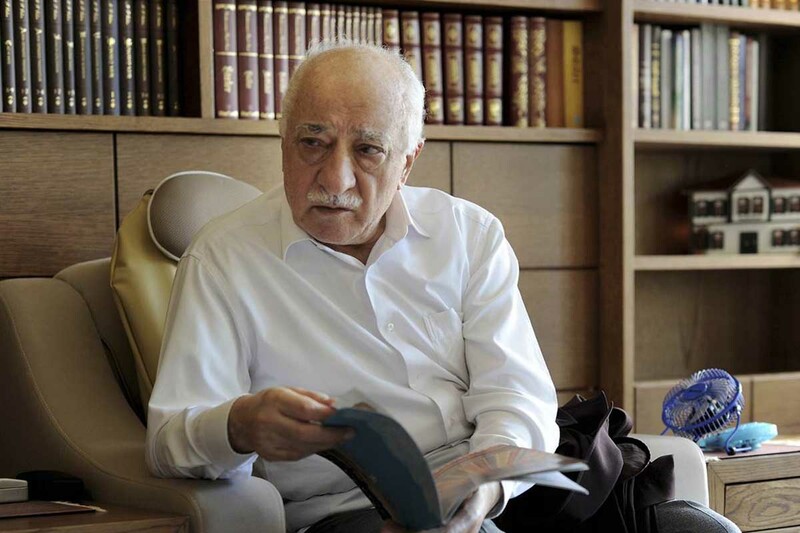 According to AI, accused coup-plotters and supporters of Fethullah Gulen are rounded up and subsequently beaten, raped, deprived of food and water, denied medical care and the right to contact their families and lawyers, and (in at least one case) denied medical attention and left to die. But the claim that the Turkish military is as strong as ever is simply ridiculous. A third of the serving generals are behind bars, along with thousands of commanders and soldiers, educators, police officers, jurists, and judges. The Turkish military is no longer capable of cooperating in any meaningful form with the USA or NATO. There is no way Turkey can keep even the routine day to day operations running smoothly as before because there are just not enough knowledgable people available. The Incirlik air base is the center of NATO air operations against IS (Islamic State) in Syria. 50 US B61-12 nuclear warheads are stored there. 1,400 US soldiers and an unknown number of other NATO soldiers (probably several hundreds) were locked down at the air base when electricity was cut off during the coup and all aircrafts were grounded. Base commander Brigadier General Bekir Ercan and 11 other officers from the base were among the putschists and are now in prison. Amid at best mixed messages from Turkey regarding the war against IS, and with the generals who coordinated the campaign with NATO now behind bars, who will maintain the alliance with NATO? Syrian insurgents have grown used to military setbacks, loss of territory, and Russian bombs raining down on them. But at least they could count on steady and dependable material and logistic support and sustenance from across the Turkish border. After the thwarted coup against President Erdogan, even that seems in doubt. There are reports of Turkey withdrawing all its intelligence officers from Aleppo two days before the coup happened. General Adem Huduti, the commander of the second army, who is entrusted with securing Turkey’s southern borders, is in prison, the Bab al-Hawa border crossing, hitherto the prime supply route to Syria’s opposition-held territory, was temporarily closed during the coup. This could happen again at a moments notice. In the ten months since Russia launched its aerial campaign in support of Syria, the insurgents have lost about a third of their territory. South of Damascus the Syrian army has captured the farmland around Daraya, bringing the local Islamists to the verge of defeat after nearly four years of siege. In Ghouta, another Damascus suburb where rebels are losing territory, the government is offering to bus the remaining fighters to safety if they surrender. 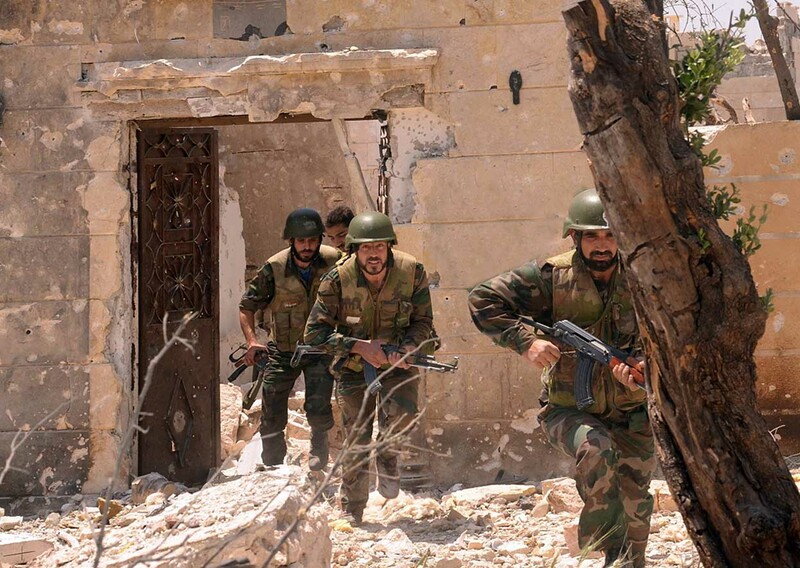 The army now appears to be tightening the siege of eastern Aleppo, after a failed counter-attack by Jabhat al-Nusra, Ahrar al-Sham, and associated groups, in which some 300 insurgents were killed, failed to reopen the Castello road, a crucial supply route. After the devastating defeat in the battle at the Mallah Farms, the Islamists have little to break the siege. They’d need a miracle to win. A few opposition leaders argue that as part of his counter-coup President Erdogan might still project his neo-Ottoman ambitions and Sunni triumphalism abroad and come to their rescue. But among exiled leaders in Gaziantep and the US-Americans co-ordinating their logistical backup, the mood is one of despondency. “It’s game over already,” said one US contractor. Some hope still for Hillary Rodham Clinton to come to the rescue, but if she indeed is able to win the US-elections, which is not a given, she would not be sworn in until Jan 20, 2017. Based on how events are unfolding right now, the end game for Allepo city may begin well before that. And if Aleppo falls, the insurgents only remaining stronghold is Idlib, which could be liberated quickly after the victories in Aleppo, Ghouta, and Daraye will free more than 30,000 soldiers. The Western powers will not be able to openly help the insurgents in Idlib, since they are dominated by Jabhat al-Nusra, which the UN officially has declared a terrorist group. Recep Tayyip Erdogan is an Islamist who sympathizes with the Muslim Brotherhood and has a soft spot for Islamic terrorist formations like Al Qaeda and IS, yet, he has thought it over and found out that it’s not worth putting off the USA, Russia, and the rest of the world combined by continuing or even increasing support for the Syrian Islamic rebels. He would like to see the Islamists winning in Syria, but he knows that it’s not worth the losses and the sacrifices. With so many of his officers in prison after the coup, Erdogan doesn’t have enough military strength to fight against Assad and the Kurds in the southeast at the same time. He probably has resigned to the idea that the Islamic insurgency will be defeated, hoping that after the Syrian victory Assad will turn against the Kurds in northern Syria (Rojava), eliminating what in Erdogan’s mind is the biggest threat to Turkey: Kurdish independence. After that happenes, he could build up again the resources to start another war against Syria’s exhausted forces, but it is far more likely he will just let it be. The in the last paragraphs described change of mind led to Erdogan’s apology to Russia for the plane shutdown and hints of a rapprochement which Syria. None of Turkeys support for the insurgents in Syria is legal, so only Erdogan’s most trusted intelligence and military units were involved, and they will follow his u-turn unquestioning. Erdogan finally realized that even a victory (which doesn’t seem likely anymore) wouldn’t compensate for all the military, political, economic damage, lost domestic stability, and vanishing international prestige. He has understood that the Americans used him to provide anti-Assad elements with support, let him doing their dirty work, but then abandoned him by accepting a rebel defeat and supporting the Rojava Kurds, who the USA uses to decimate IS terrorists. Ceasing support to the Rebels is probably the first step on the path to some sort of co-existence with an Assad-led Syrian government, who at least will keep Kurdish autonomy aspirations in check. Turkeys economy is in trouble, as tourists stay away and trade with Russia is down. The Turkish lira lost 7 percent value. 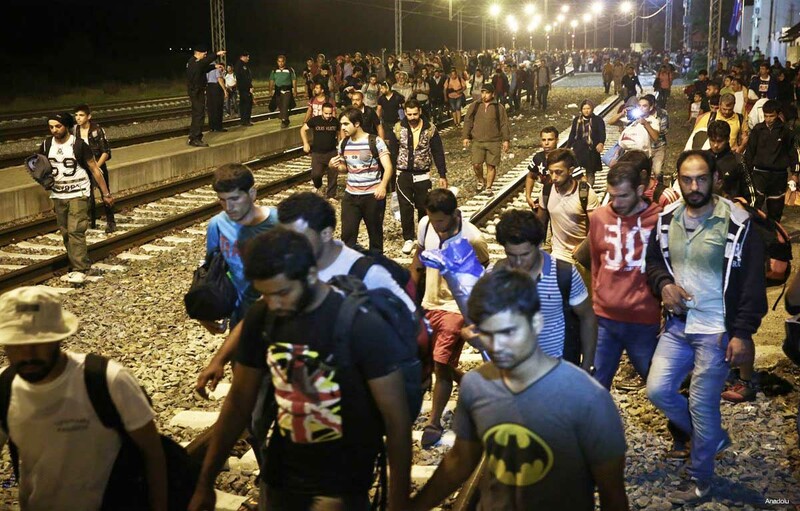 Turkey houses 2.6 million Syrian refugees, which puts a serious strain on the countries finances. The sacked civil servants, teachers, judges, will be replaced with loyal followers, who may be well intended but most likely are inexperienced and often will be incompetent. Until now Turkey’s universities were leading centers of science and innovation in the Muslim world, but this could change when religious zealots take the place of the 1,500 dismissed deans and the 21,000 fired teachers. Religion and science seldom mix well. Turkish schools may partly be converted into madrasas, where pupils learn Quranic surahs and not much else. This is a waste of precious human resources, it will cause a lack of specialists and highly skilled experts on one hand, while increasing youth unemployment and with it social tensions on the other hand. This islamization of society will lead to further estrangement of Turkey with the West. Many Islamic terrorists will regard Erdogan as a backstabber because of his policy change. Until now fighters could freely roam in Turkey, the Syrian insurgent groups are well embedded in Turkish society and have setup countless local organizations. There are personal ties to nationalists (Grey Wolves), imams, and local elders. Thanks to Erdogan’s passive support, IS has operatives seeded throughout Turkey. They could unleash an unprecedented terror wave if they feel betrayed. IS has a seemingly inexhaustible pool of suicide bombers and is very resourceful and inventive in its terror methods. It has already used chemical weapons in Syria and Iraq, in May it was reported, that the group is conducting experiments with chemical weapons on dogs and prisoners in labs located in residential neighborhoods in Mosul. Ersen Celik, alias Abu Mousa, a prominent IS member responsible for technological affairs, first visited Turkey in 2014 to buy model planes. 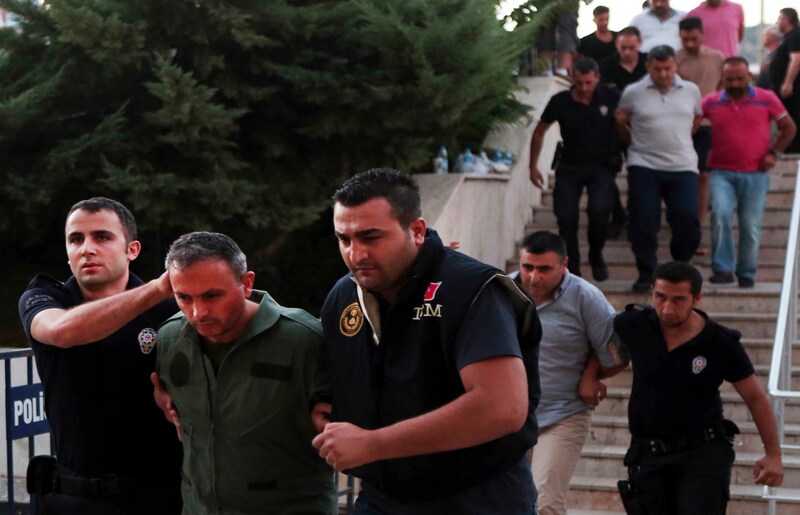 He was arrested in Gaziantep during another visit and revealed in interrogations, that IS plans to launch attacks in Turkey using remote-controlled model planes. These are frightening prospects, but Erdogan could get help from someone who knows how to quell an Islamic insurgency. Russia has defeated the Islamists in two bloody Chechen wars and Russian society is able to more or less harmonically integrate a sizable seven percent Muslim population in the North Caucasus and the Volga Basin. 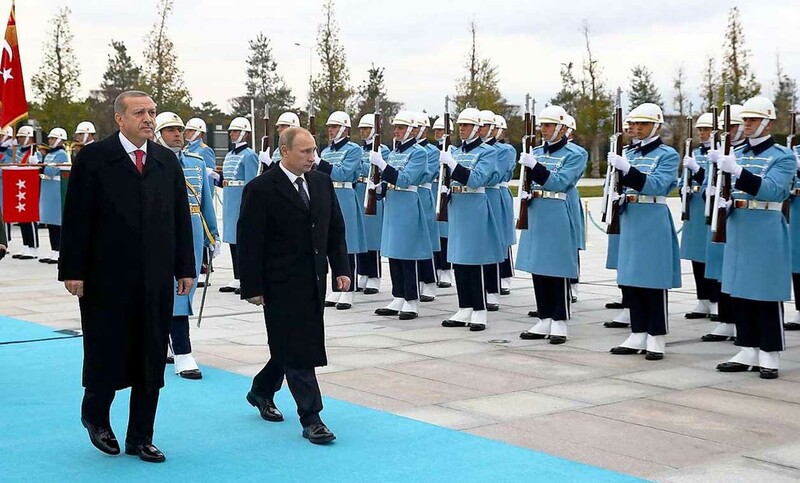 If one could help Erdogan in his predicament, it is Putin. This is a long and wicked game with many unexpected moves and turns, but the geopolitical chess master is playing it brilliantly again, leaving his Western opponents ashamed and humiliated. The number of detained military personnel continues to rise. Until now 8,838 military personnel are in custody. Of those, 163 are generals and admirals, out of a total 358. This is already the third purge after the the Sledgehammer and Ergenekon operations cleaned the armed forces from Kemalists and secularists. It is speculated that the previous purges had allowed Gulenists to fill the empty posts and that these were the main coup plotters, but that could also be propaganda by Erdogan’s followers. The air force and gendarmerie forces played key roles in the uprising. The coup attempt launched by officers calling themselves “Peace in the Country Council” was planned at the Gendarmerie General Command Headquarters in Ankara. The Akinci air base, some 20 kilometers outside Ankara, served as the coup’s operations center. Assault and general-purpose helicopters of the army aviation units supported the coup attempt and the most hawkish elements of the army, fighting the Kurdish PKK in the southeast, were leading participants. 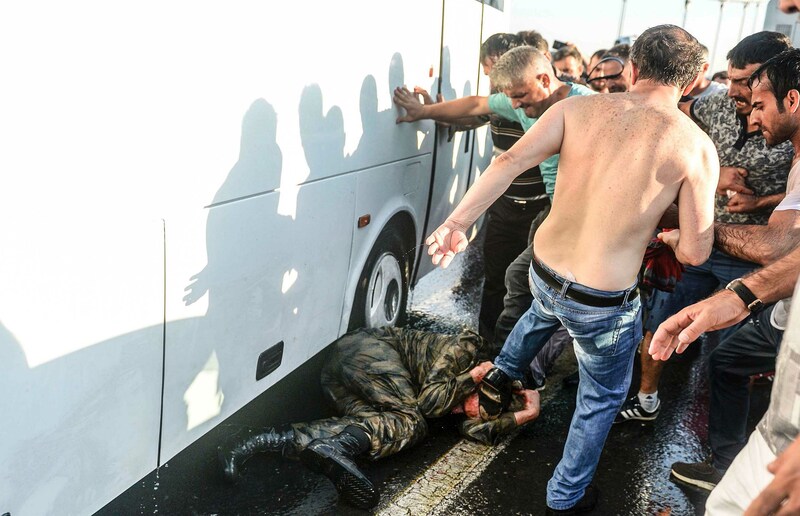 The coup attempt has severely damaged the trust between police and army, which makes any cooperation more difficult, because the police will be on constant alert to prevent another coup. As the police is suspiciously watching its own army, law enforcement will be severely impeded, a fact that might benefit Islamic terror groups as well as the Kurdish PKK.